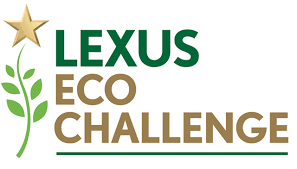 The Lexus Eco Challenge is a STEM-focused contest for grades 6–12 that gets students involved in an environmental issue that affects their community, to use their critical-thinking and research skills to come up with a solution, and to report on the results by way of an Action Plan. Students must develop a solution to an environmental issue affecting their community. The students report on the problem and their proposed solution through an "action plan" that is submitted online. Have all questions been answered? Do the responses clearly and accurately answer the questions? Does the Action Plan clearly describe the quantifiable results? Does the plan help to raise community awareness? Has the Team used the provided press release template and/or organized a school event to raise awareness of the issue? Does the Action Plan adequately explain how potential prize funds will be used? Does the Action Plan clearly explain each Team members’ actions in the project? Has the Team completed the required Project Gallery as part of their entry? Does the Project Gallery provide evidence of the Team in action preparing and/or implementing their plan? In the event of a tie, an additional "tie-breaking" judge will determine the winner based on the same criteria set forth above. The decisions of the independent judges are final and binding. The Sponsor reserves the right to not award all prizes if, in its sole discretion, it does not receive a sufficient number of qualified and eligible entries. Has the contest topic been answered fully? Does the PowerPoint/Online Entry presentation demonstrate the team's full understanding of the environmental issue? Is the PowerPoint/Online Entry presentation creative and compelling? Are images, photos, charts, graphs, or other visual media incorporated in the Project Gallery? Does the PowerPoint/Online Entry presentation communicate Team effort? Does the PowerPoint/Online Entry presentation indicate each Team member's contribution to the presentation? Is the entry well structured with clear transitions?